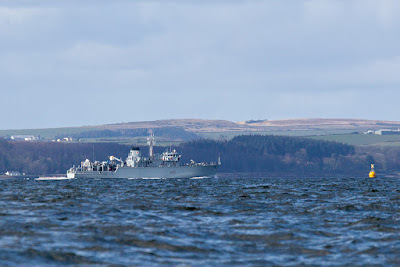 Returning to sea after a refit. 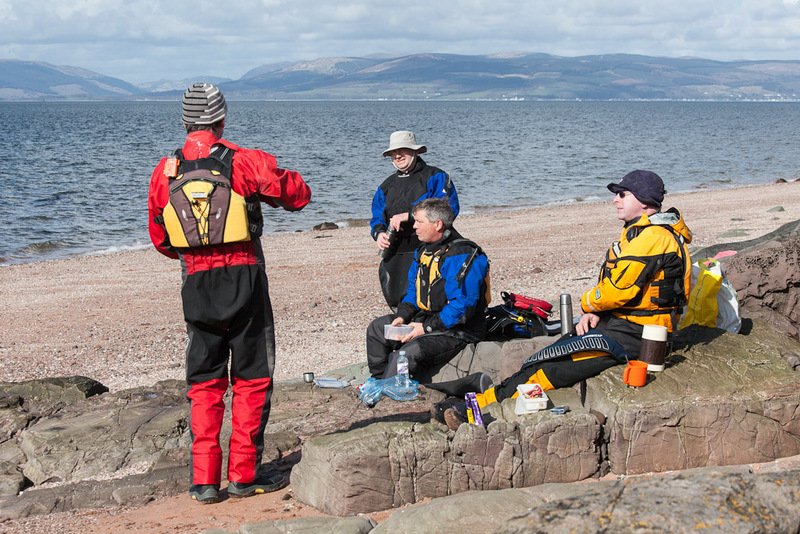 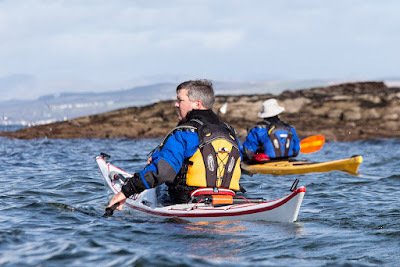 By the time we got to the Great Cumbrae, the two newcomers to our little group, Andrew and Colin, were pretty tired, trying to keep up with the kayak sailors, it was time for a break. 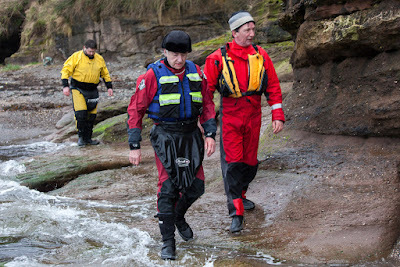 They are shortly to sit their BCU 3* with Bruce so we thought it would be good to give them some experience of open crossings. 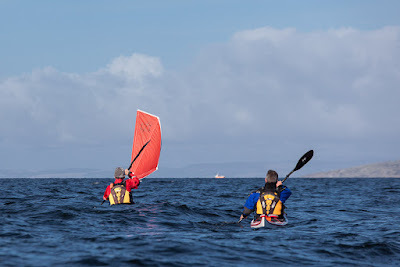 They had now completed 2 crossings of 7.5 and 7.2 km so they were feeling rather pleased. 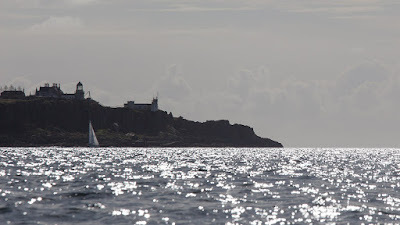 the ships pass in the channel we had just crossed. 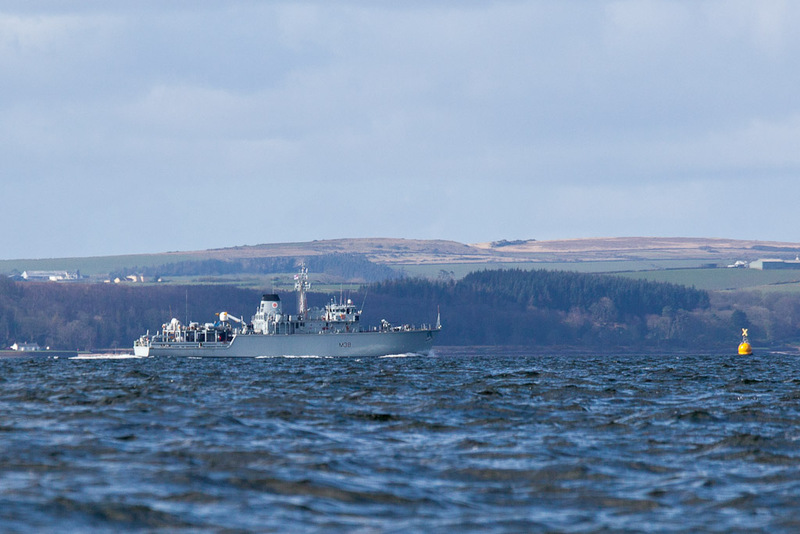 This is HMS Atherstone (M38), a Royal Navy mine hunter. 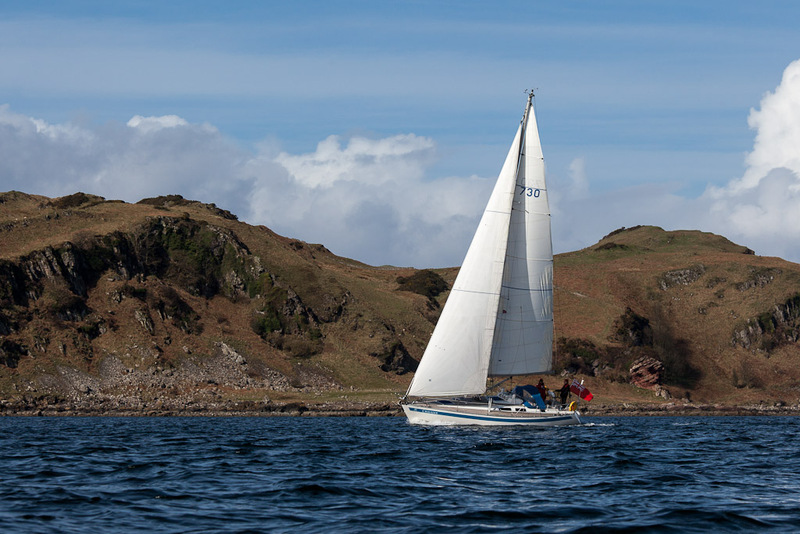 She was launched in 1986 and has just returned to sea after a major refit. 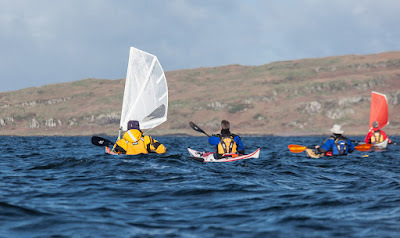 It was now time for us to return to sea after our luncheon refit. 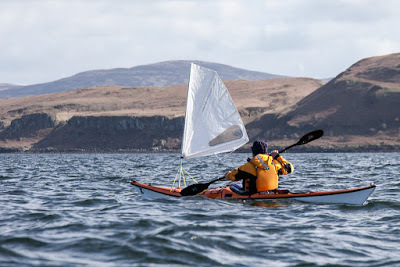 We launched ourselves with a nip of 10 year old Jura. 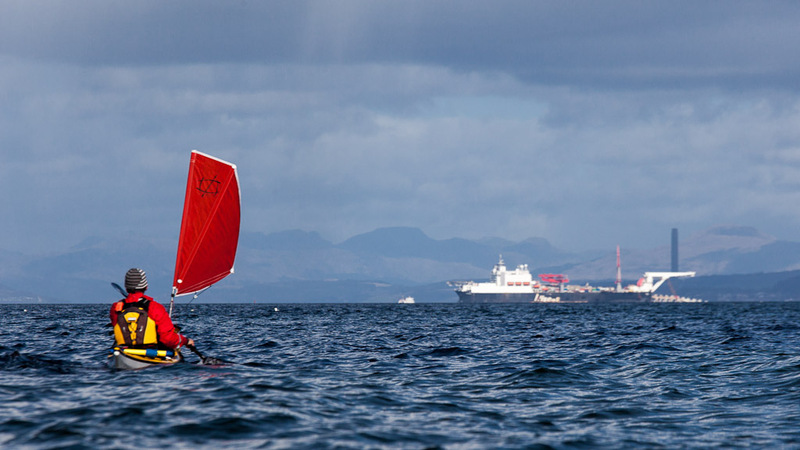 MV Solitaire, the World's biggest pipe layer ship. 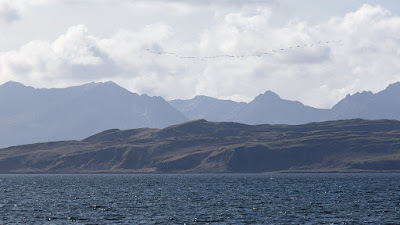 ...where a great ship was lying at anchor. 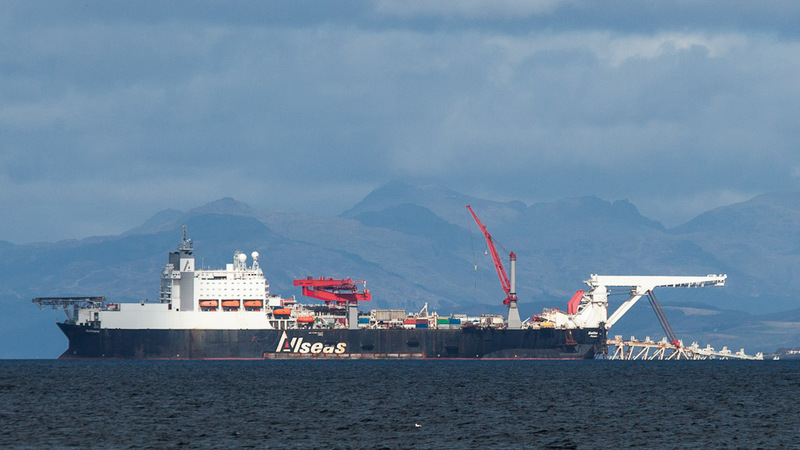 She is the MV Solitaire, the largest pipe laying vessel in the world. 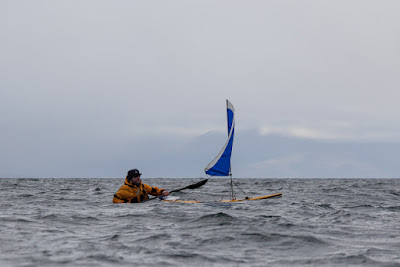 She was taking on a supply of pipes from tender vessels. 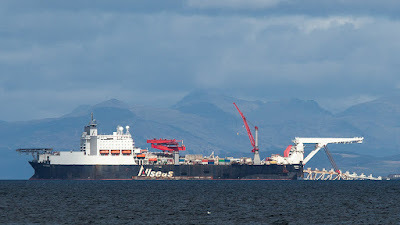 She was built as a bulk carrier in Japan in 1972 but converted to a pipe layer in 1998 by Swan Hunter on the River Tyne. She is 300m by 40m with a gross tonnage of 127,435 tons. 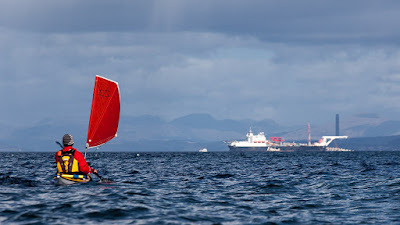 She can carry 22,000 tons of pipe and can lay 9km of undersea pipeline per day. 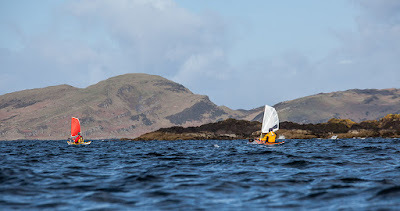 Leaving Glencallum Bay under sail. 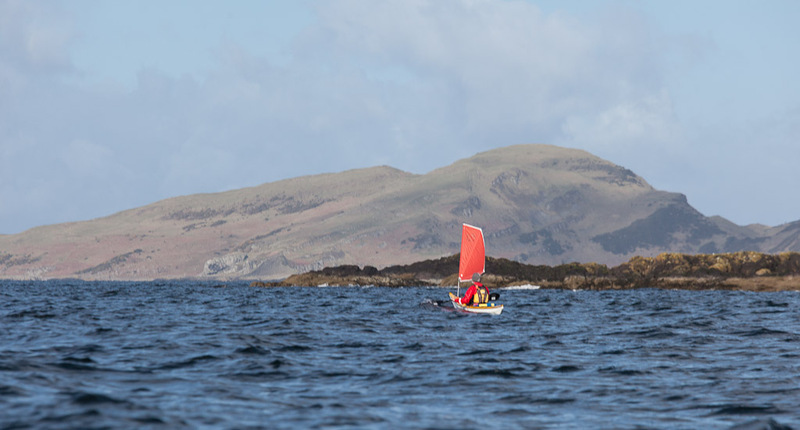 All too soon our sojourn at Glencallum Bay came to an end. 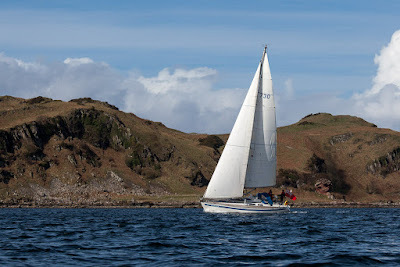 ...our way across the Firth of Cyle Channel to the Cumbraes. 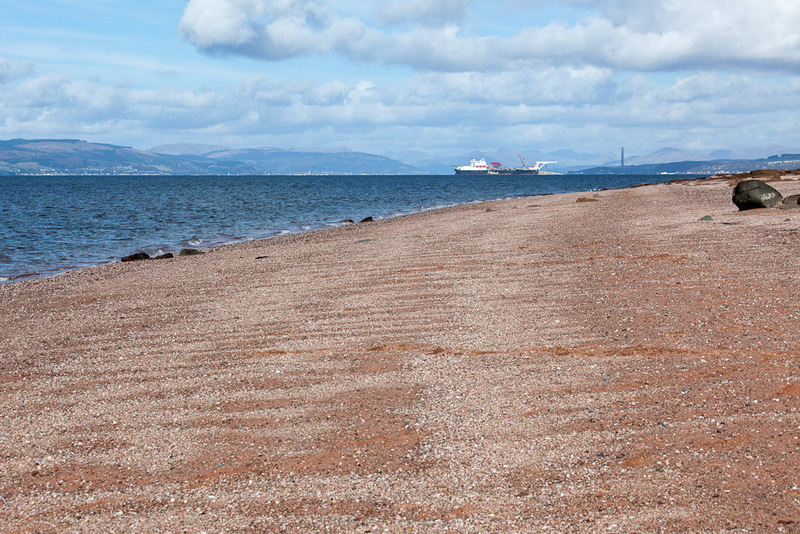 ...Colin and I met at Portencross on the Ayrshire coast. Regular readers of this blog will have realized that most of my recent trips have been local. 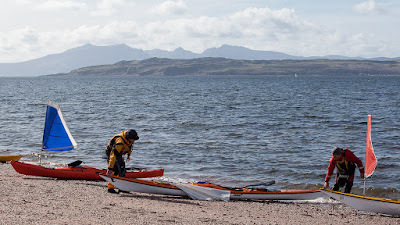 I am sorry for the lack of variety but my knee problems mean I don't like a long car journey, especially after a day in the kayak. 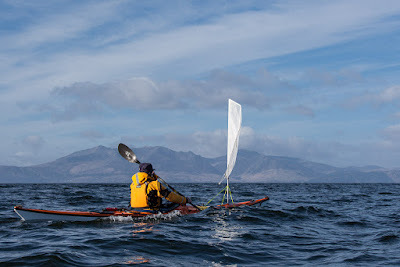 However ,I hope to show that you can enjoy great paddling even though you have visited an area many times. 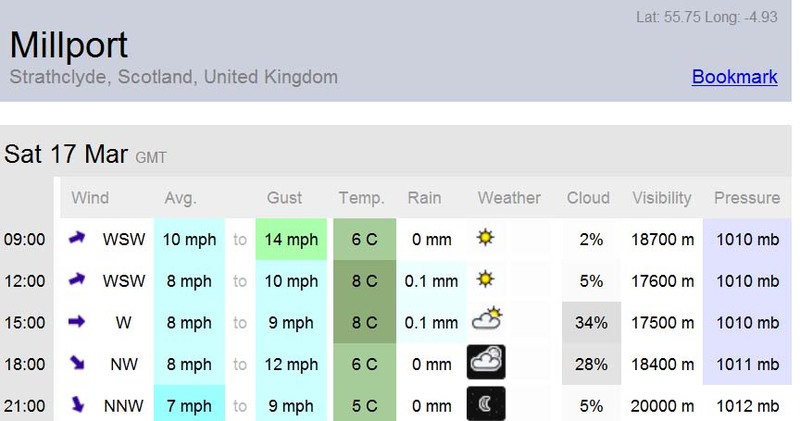 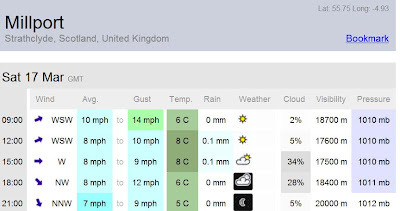 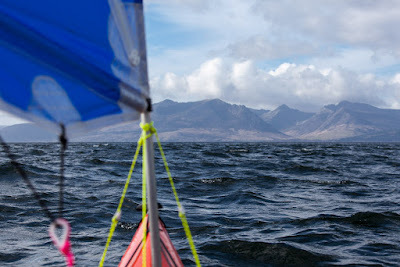 The forecast looked great and I was delighted to see that the wind was due to veer from WSW to NW. 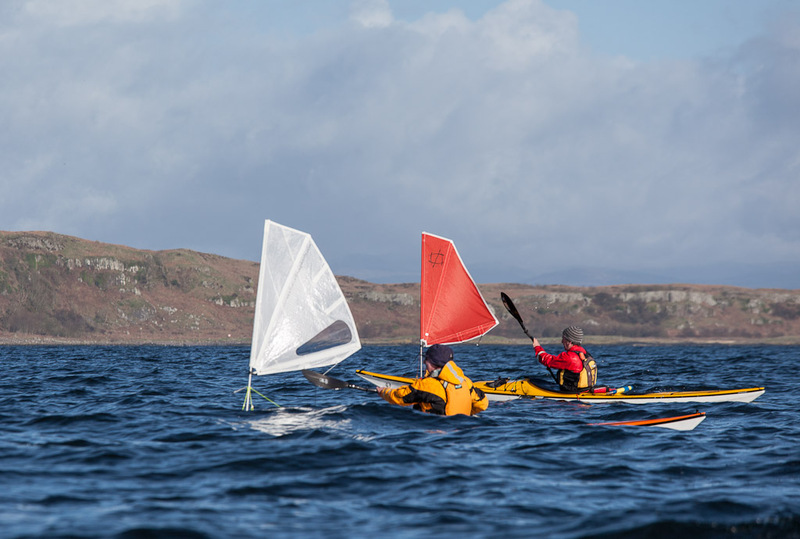 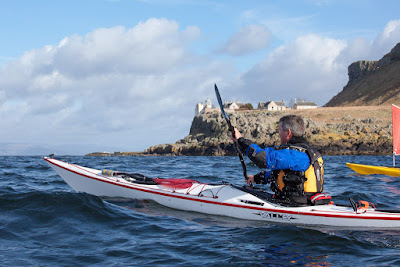 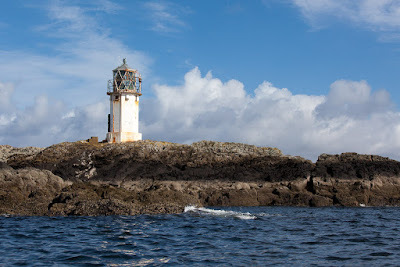 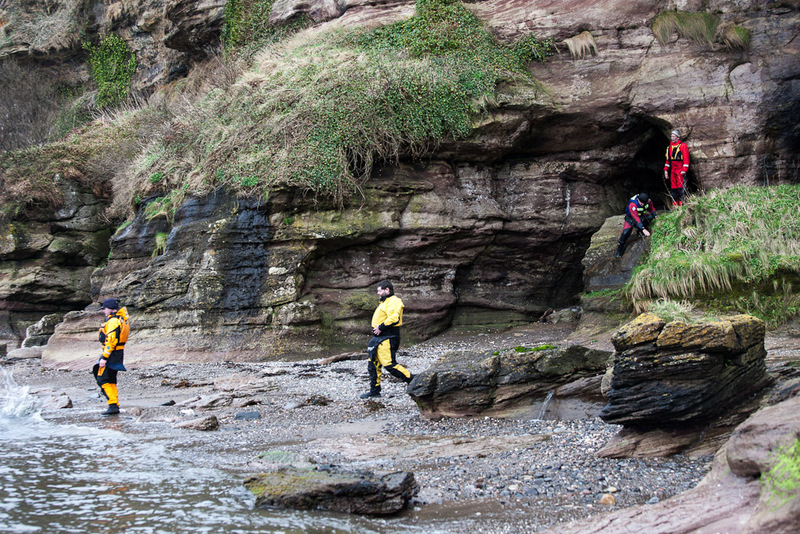 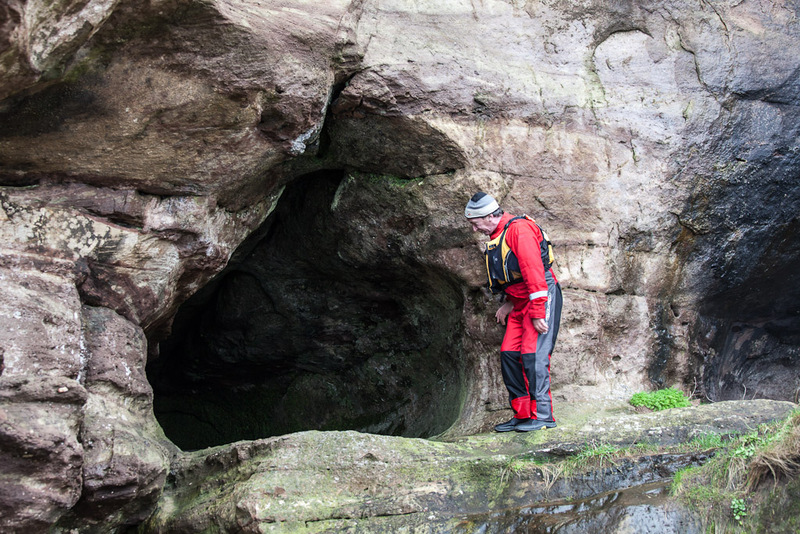 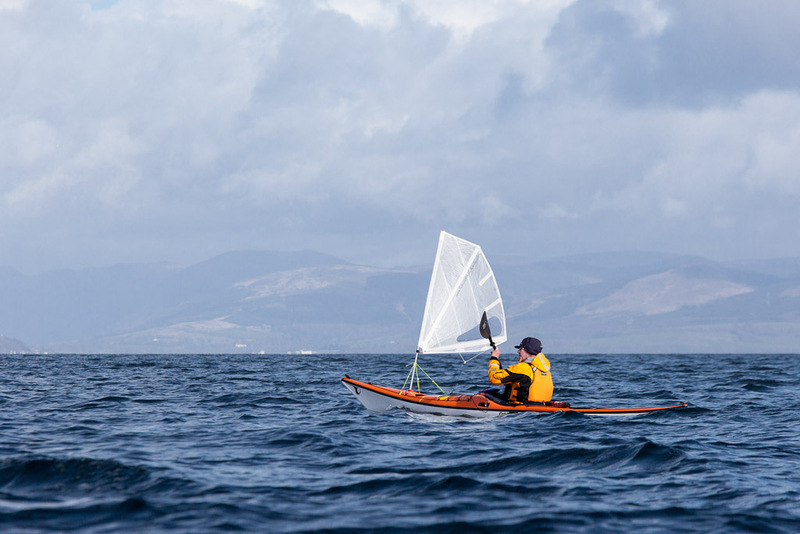 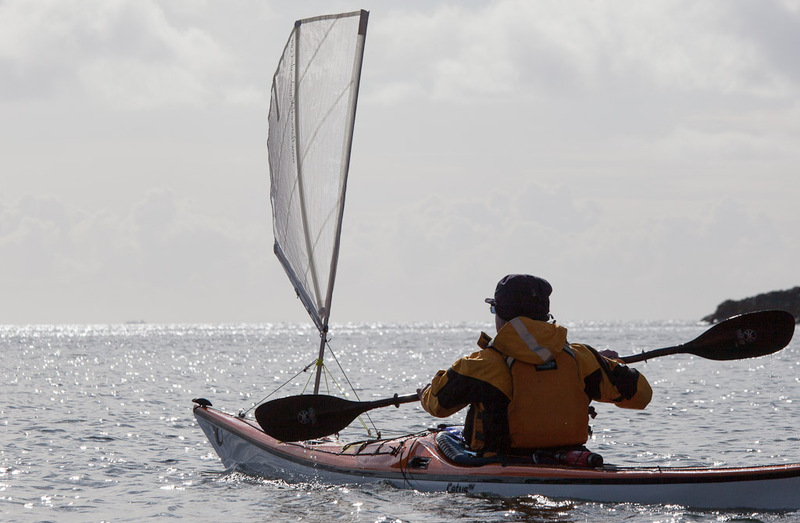 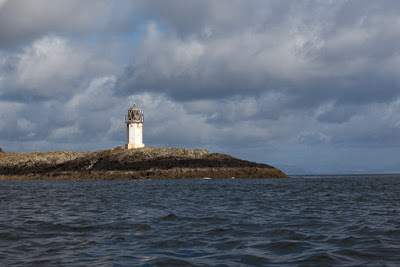 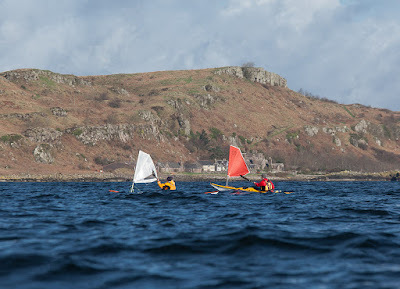 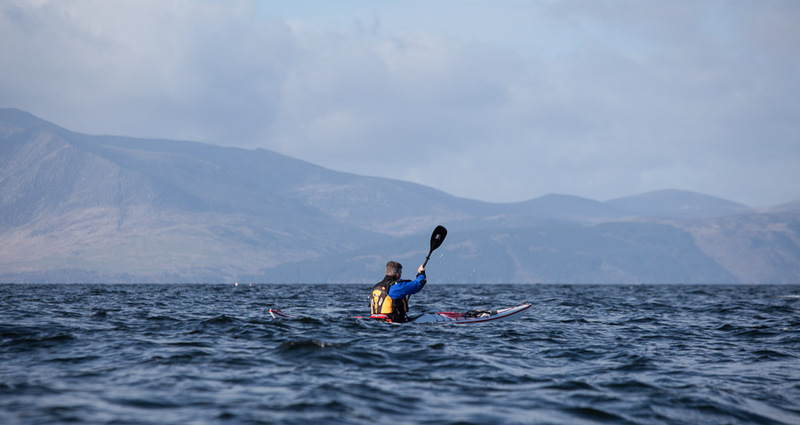 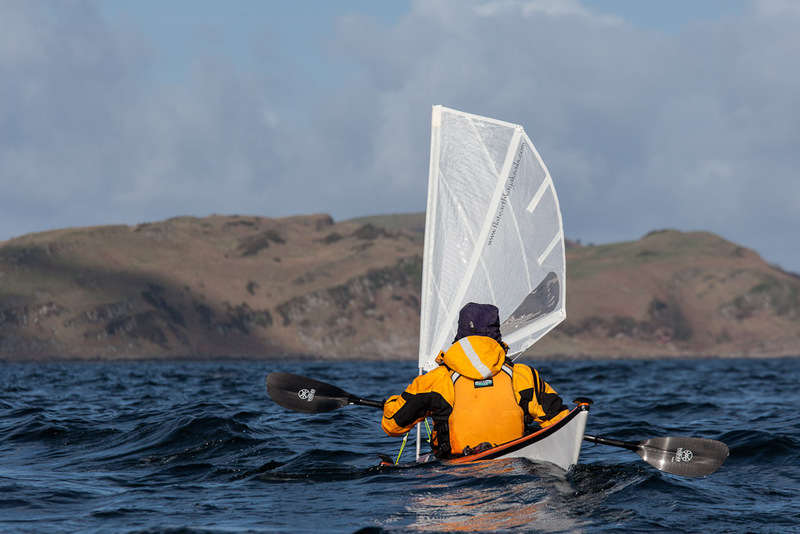 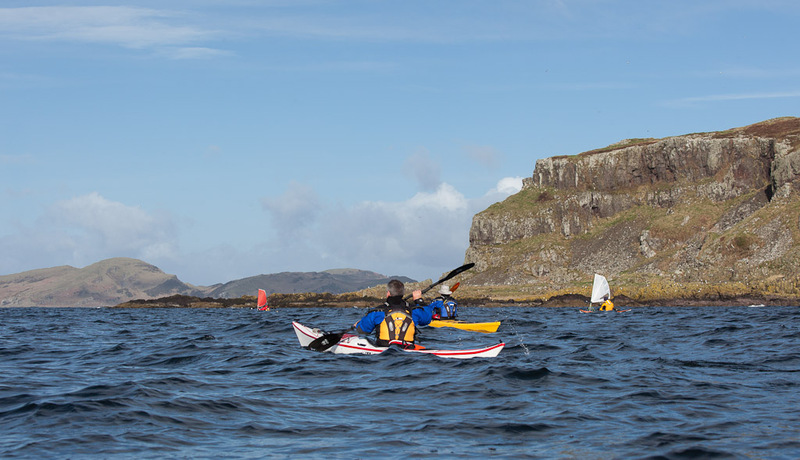 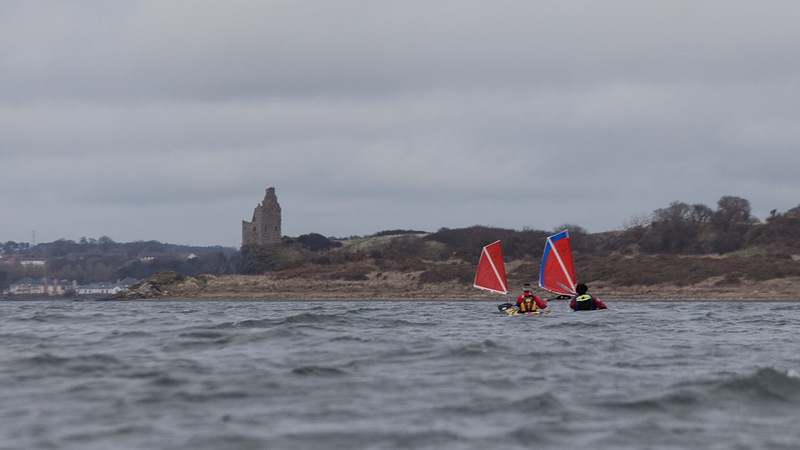 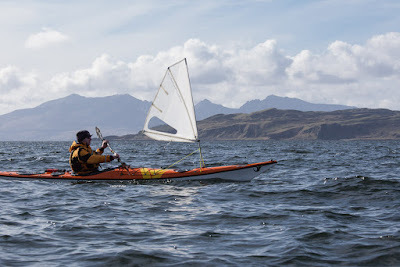 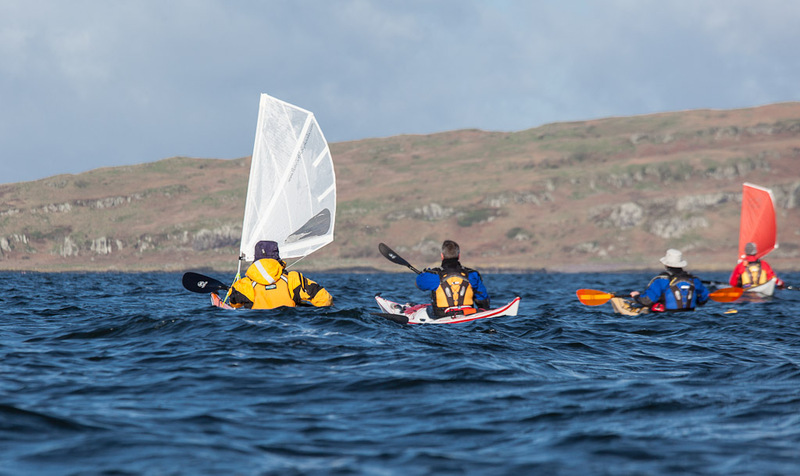 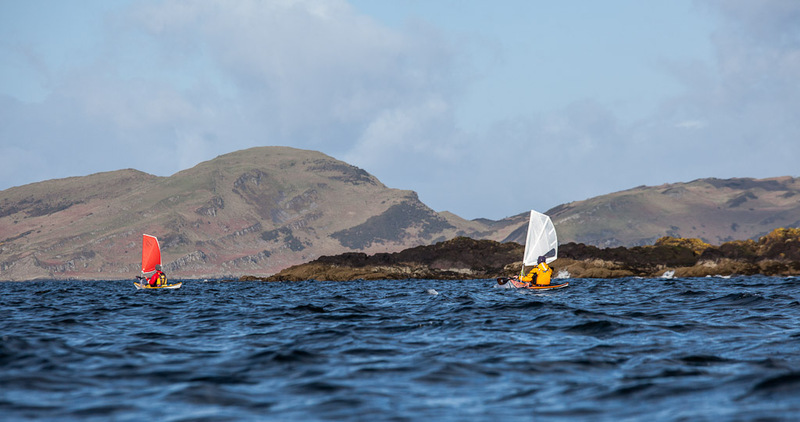 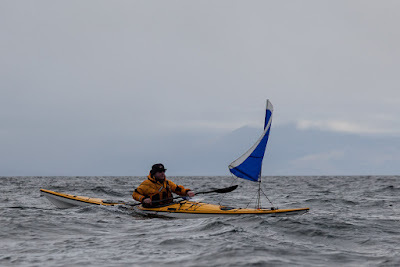 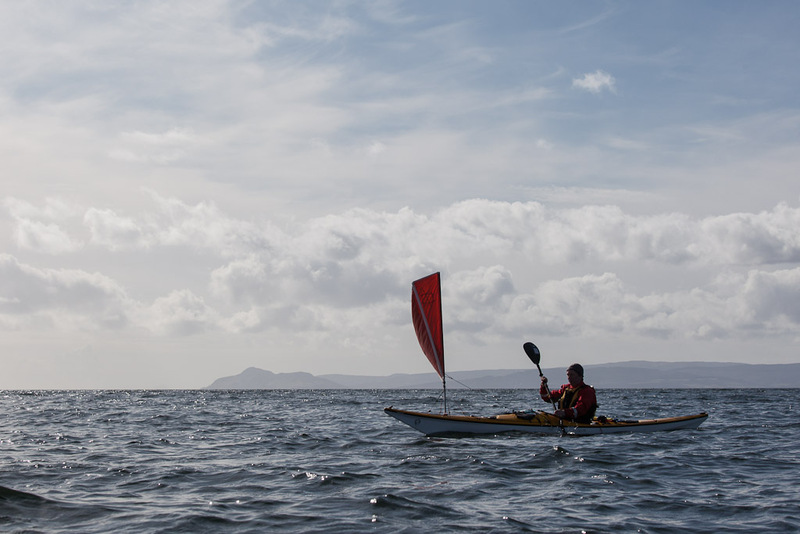 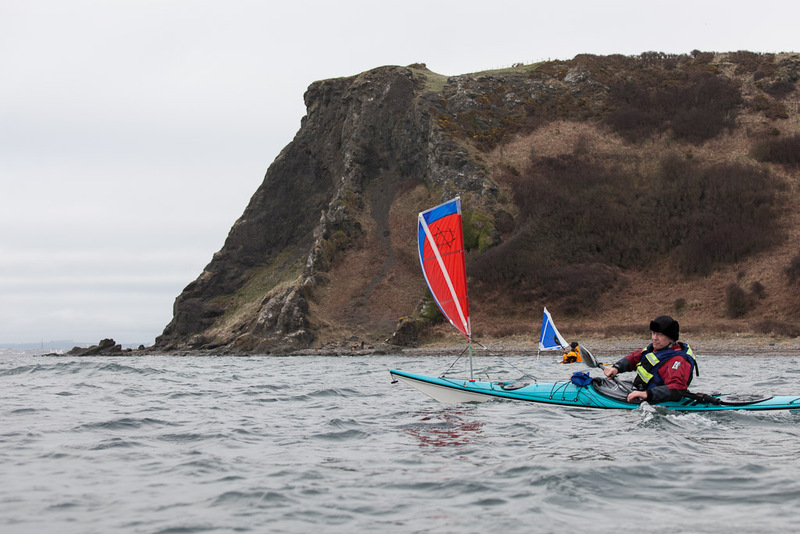 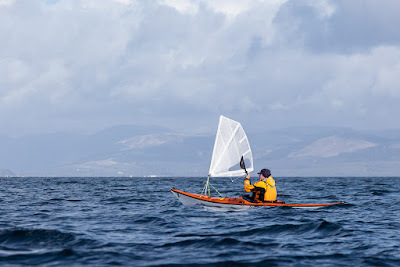 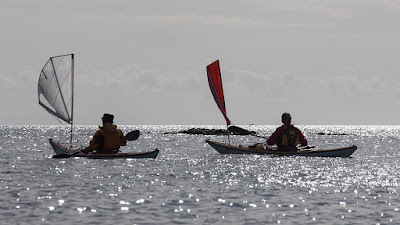 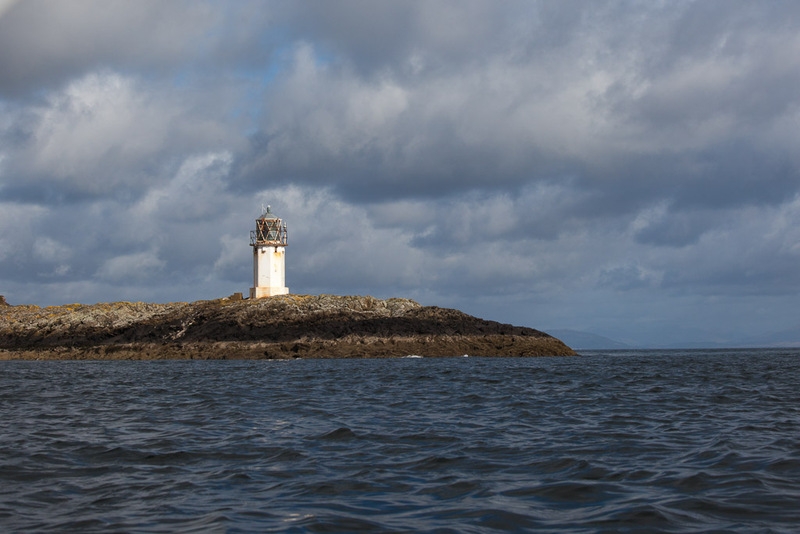 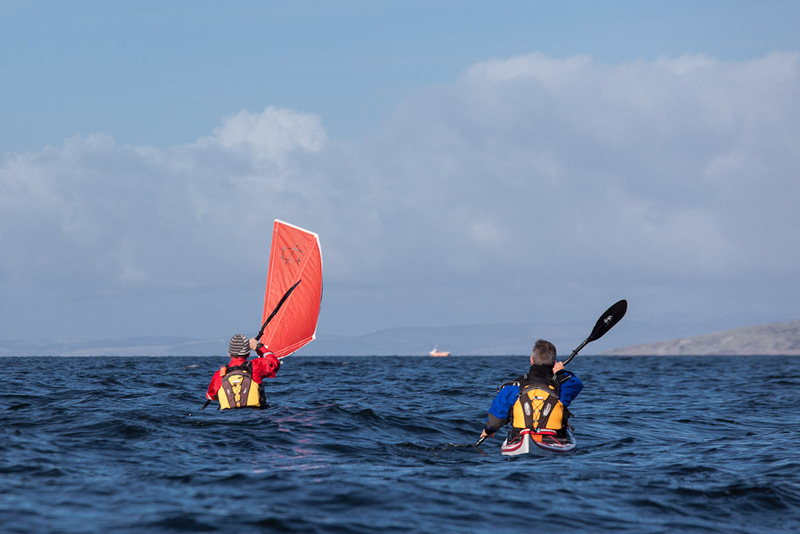 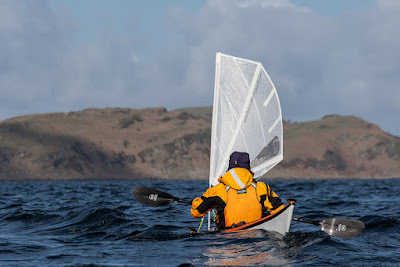 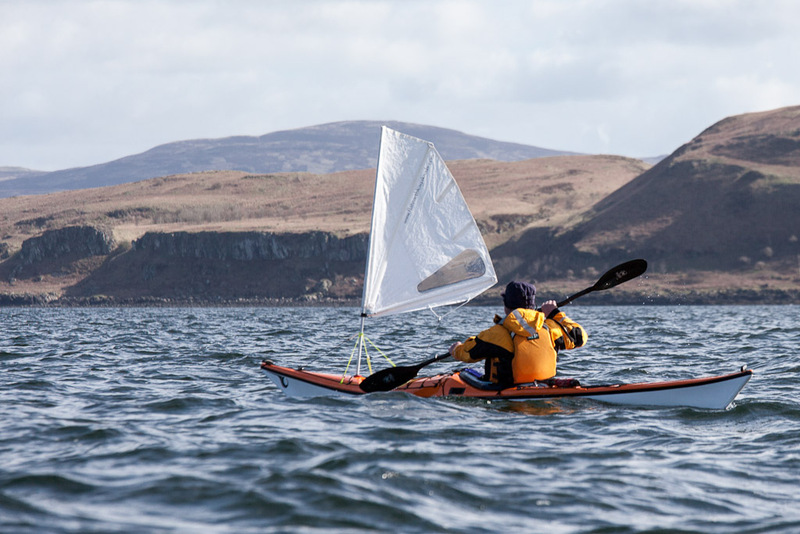 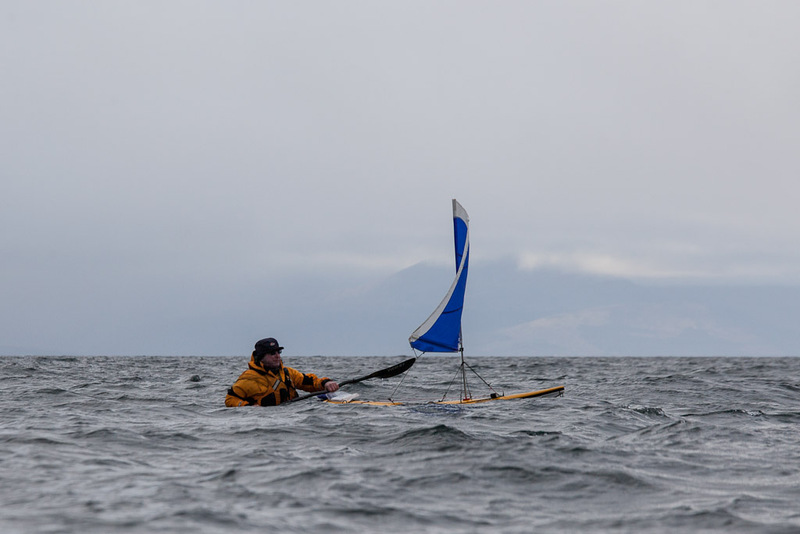 We kayak sailors could take advantage of this, by launching to the south of the Cumbraes and circumnavigate clockwise with the hope of sailing all the way. 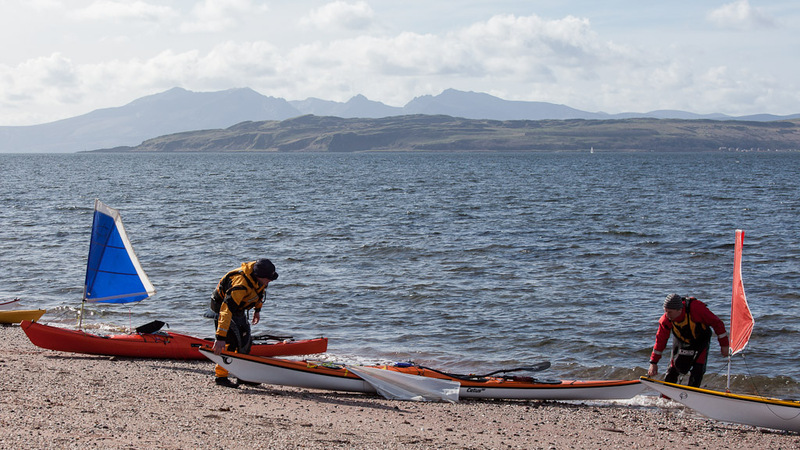 HW at Millport was at 0730 so normally paddlers would have started further north at Largs and paddled south to take advantage of the ebb tide down the inside of the Cumbraes, followed by the flood tide up their outside. 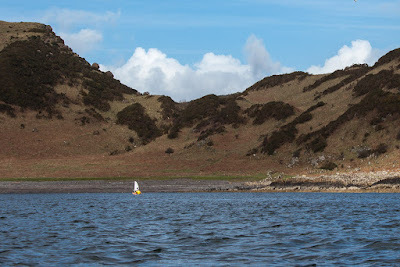 ...the south end of Little Cumbrae. 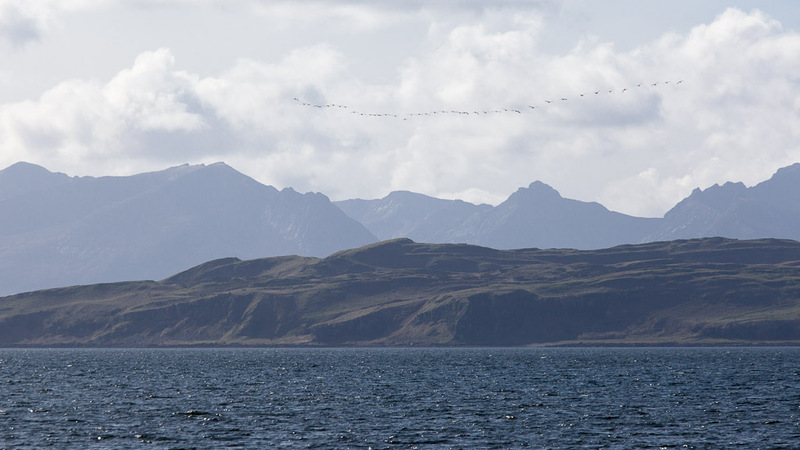 In the distance, the hills of Bute rose above our first intended stop at Glencallum Bay. 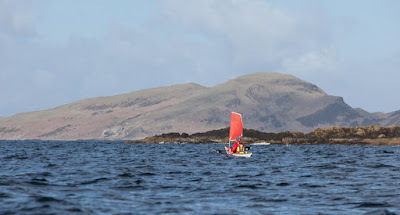 ...round Gull Point on a single tack from Portencross. It looked like my navigational plan would work. 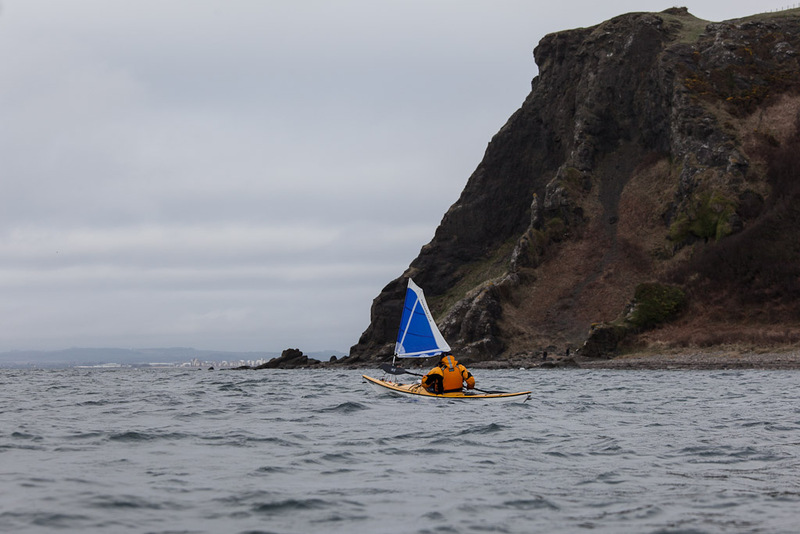 Emerging from the mist on the way to Ayr. ...the dark basalt ridges of the Heads of Ayr. 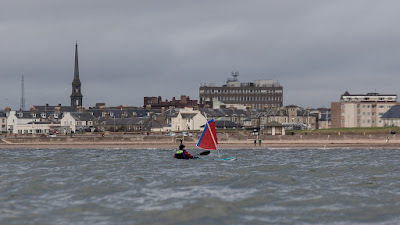 ...wave and sped on to Ayr. 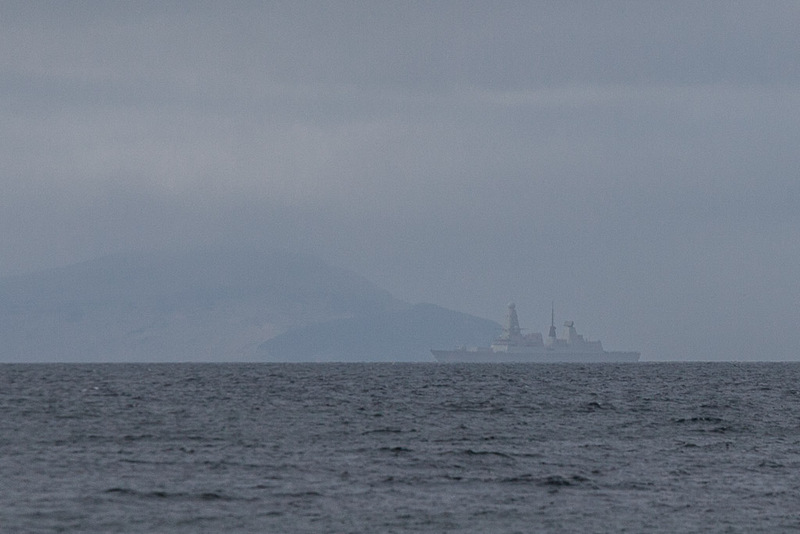 The unmistakable outline of a type 45 destroyer loomed out of the mist. 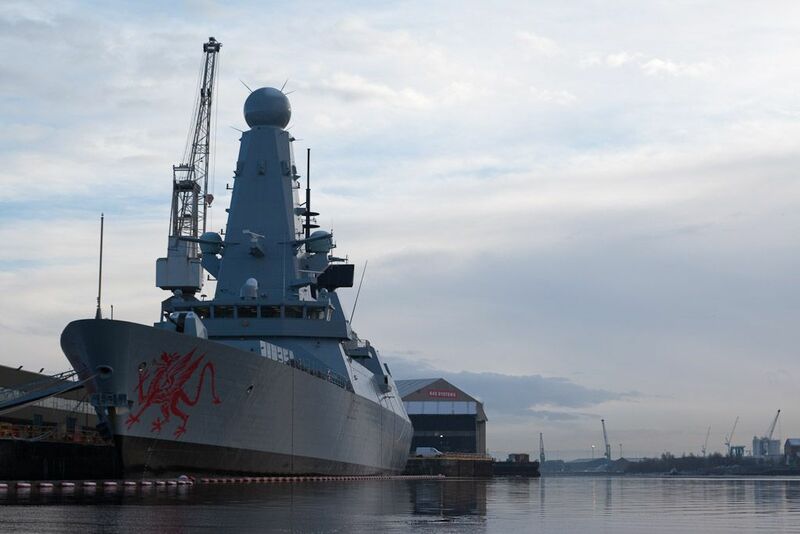 Recently, we had got used to seeing HMS Dragon on her sea trials but this is her younger sister, HMS Defender. 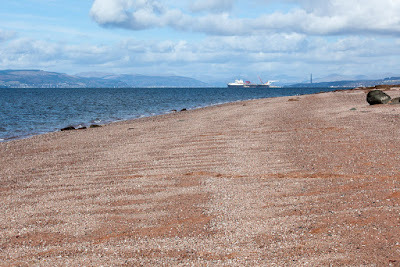 ...Jim and I to enjoy the day's brief blink of sunshine. 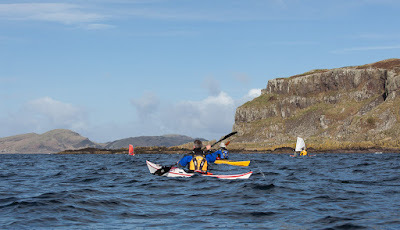 This brought another wonderful sea kayaking trip to a close. The World is full of natural and man made disasters and troubles and in comparison what we do might seem trivial. It is true that our little trips are nothing more than inconsequential escapism. 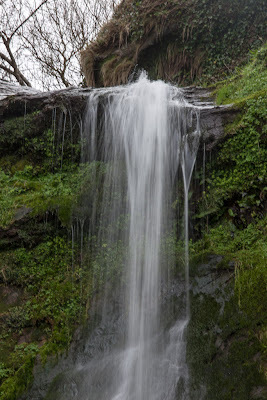 Well the World needs a good deal more triviality and much less trouble. 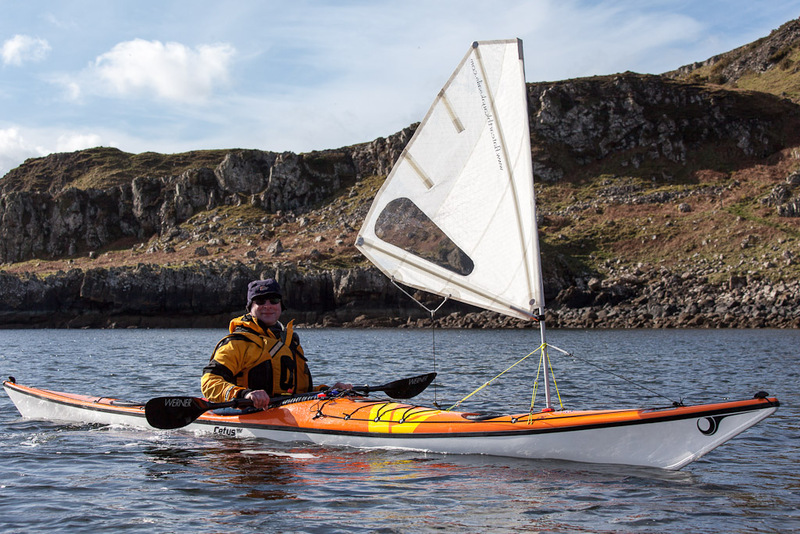 In case you think I have lost my marbles, we were just wondering how many sea kayaks you could get for one type 45 destroyer? I was quite happy to keep my feet on the ground as the others clambered athletically over the rocks. 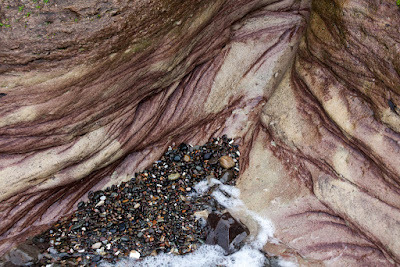 ...it poured over a lip of hard rock onto a steep slab of sandstone below. 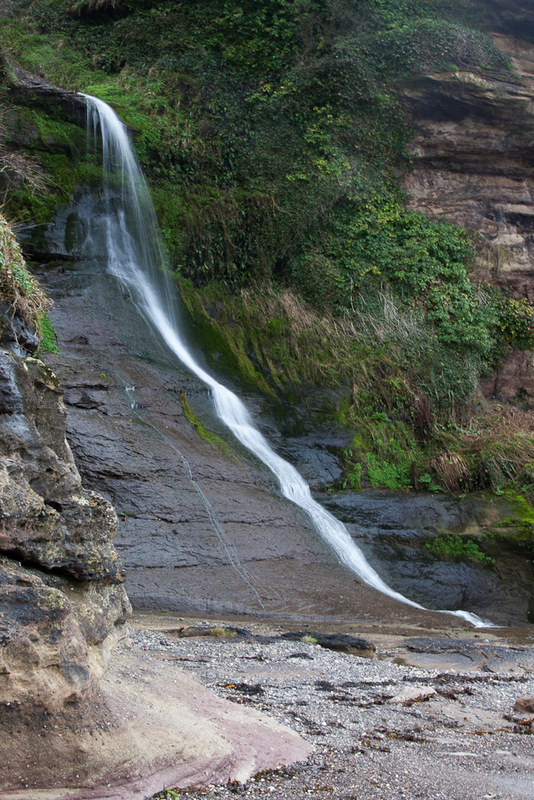 Fresh from his success scaling the cliffs to the caves, Phil now turned his attention to the waterfall. 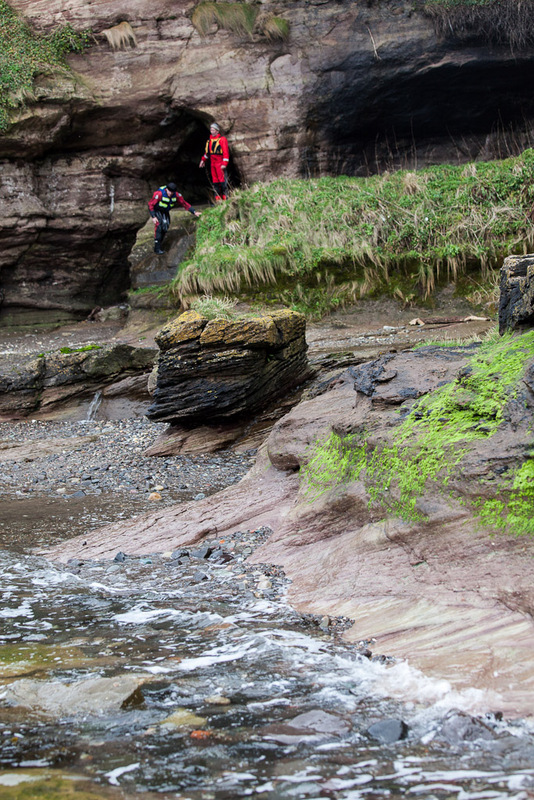 He managed to climb a third of the way up the steepening rocks but, all of a sudden, he lost his grip and slithered back down the slippery slope. 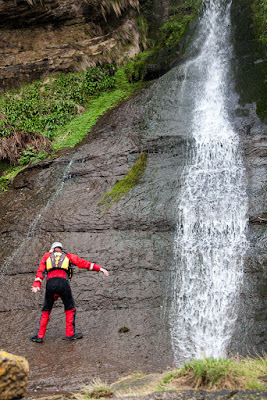 Amazingly he managed to stay upright, till he hit the bottom. 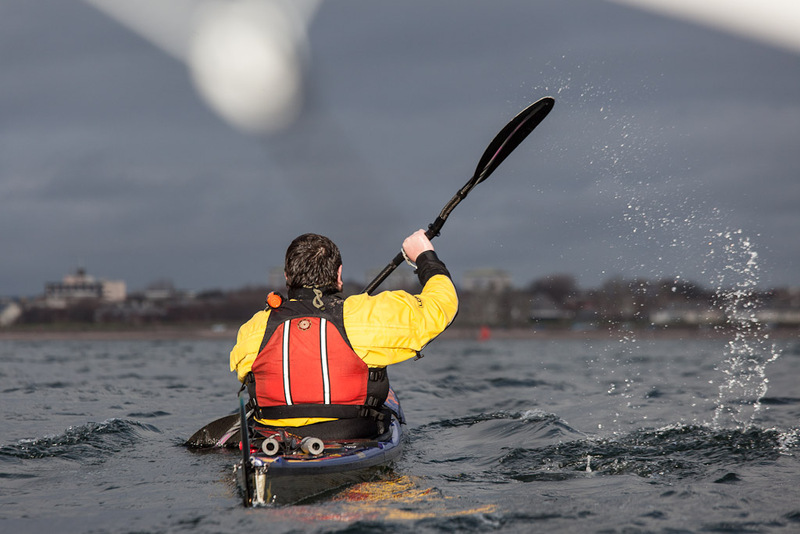 Picking himself up, he nonchalantly made his way back to the kayaks. Back at sea level, I enjoyed the beauty of the sandstone. 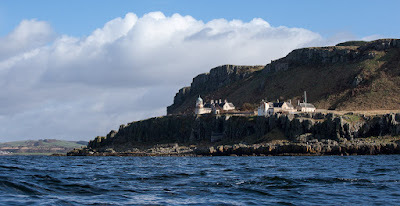 Carlandcheek is a fascinating place but if you do a Google search for it, you will only find it here!